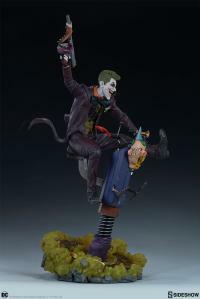 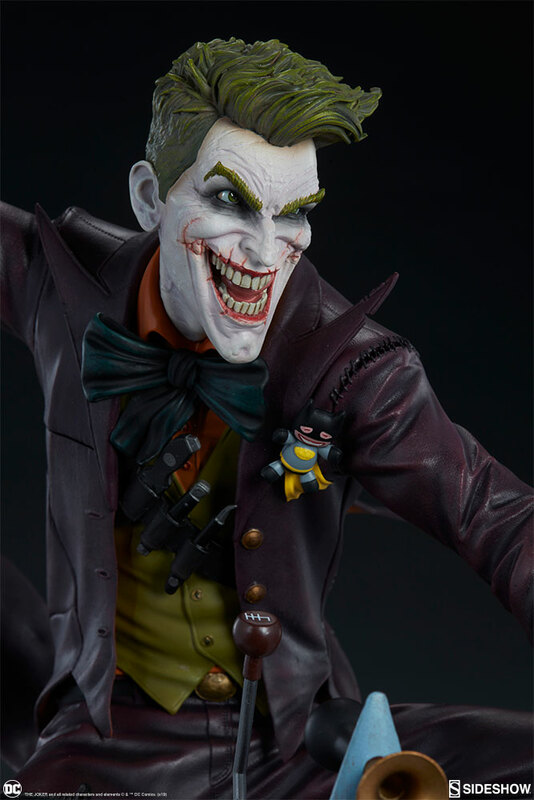 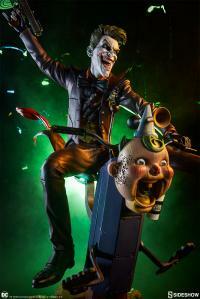 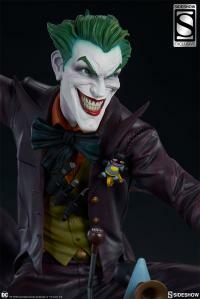 Sideshow is proud to present The Joker Premium Format™ Figure, making mayhem for Gotham wherever he goes. 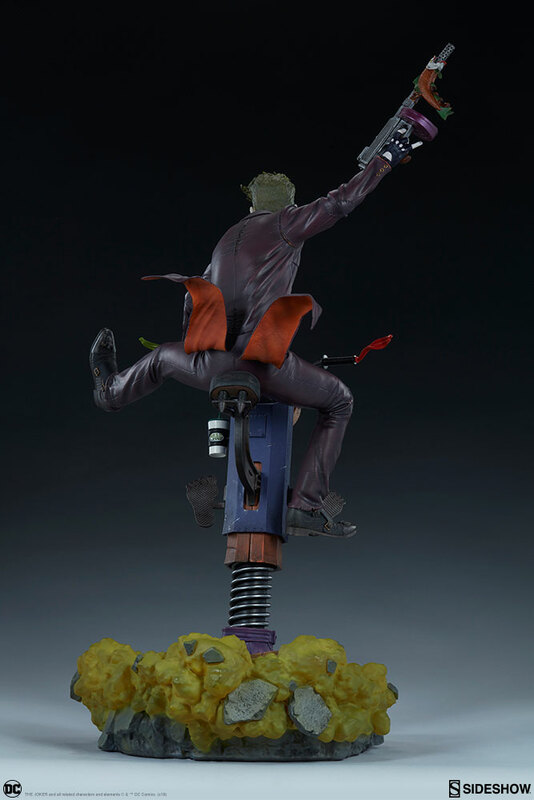 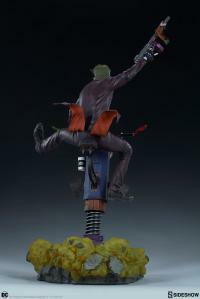 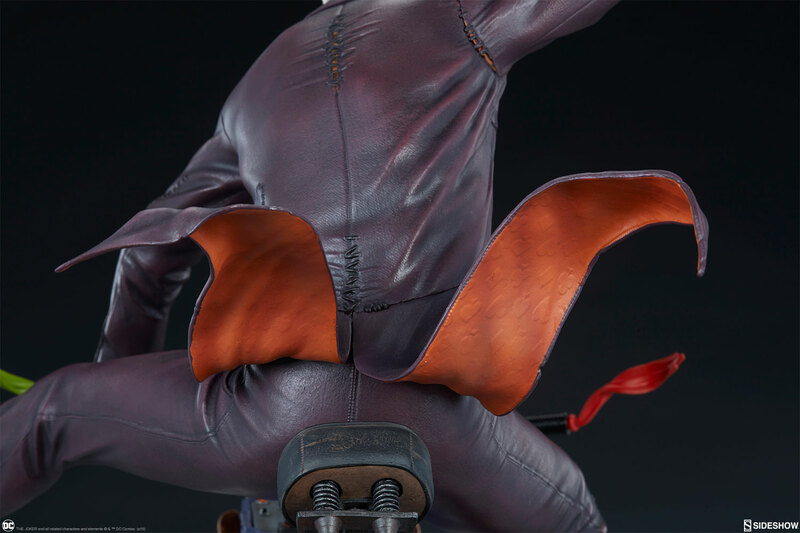 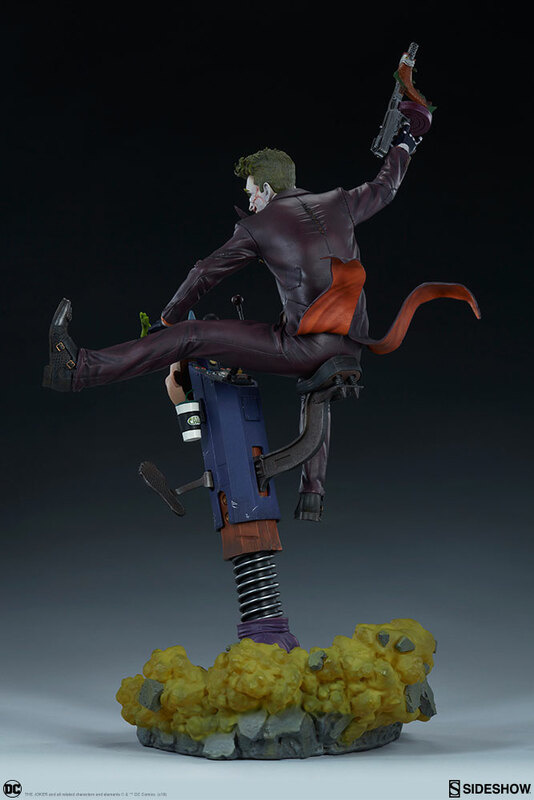 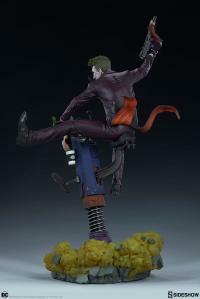 The key to humor is a good punch line- The Joker measures 25” tall atop a pogo-fist base inspired by his own suit sleeve, fitted with a dilapidated carnival game head. A giant purple glove is breaking the Gotham courthouse Seal of Justice, while his patented toxic laughing gas leaks from the wreckage. 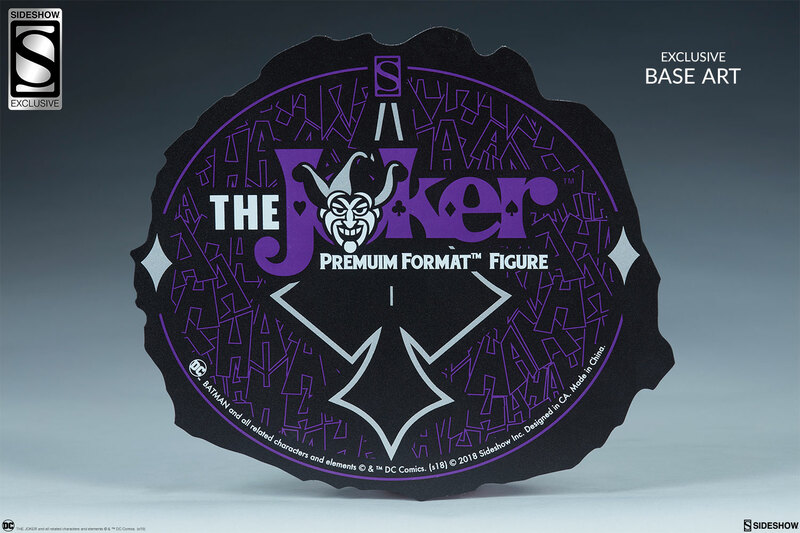 A Batusi 8-track hides on the control panel of The Joker's crazy contraption along with a carved heart with H+J as a symbol of their mad love. 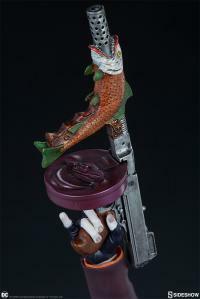 Bouncing into battle, the Clown Prince of Crime comes equipped with a Joker Fish tommy gun to put the fin-ishing touches on his elaborate scheme. 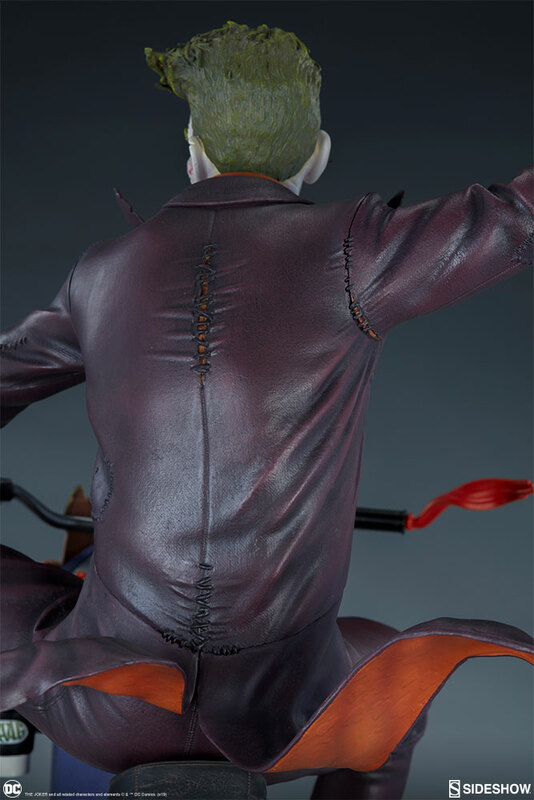 The Joker has a maniacal, scarred portrait with his iconic face makeup and coiffed green hair, and a sculpted purple two-piece suit, green vest, and orange shirt. 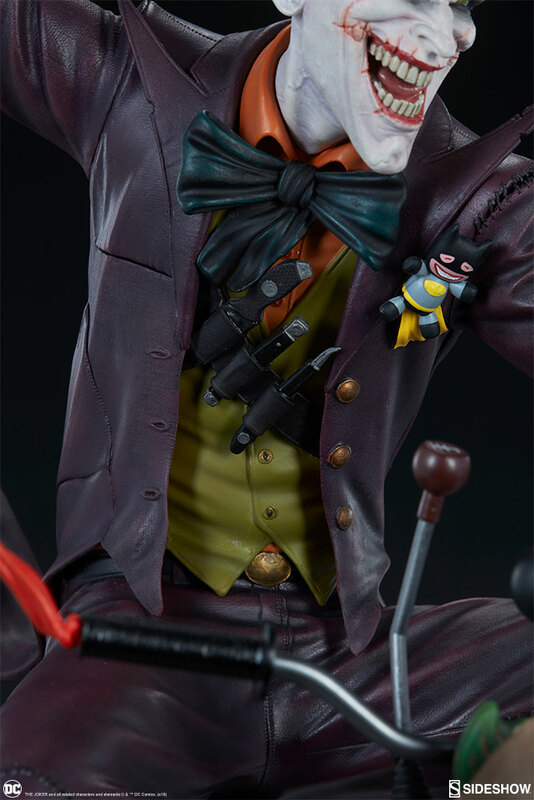 His suit is outfitted with intricate stitching details as well as a grinning Batgirl plush pinned to his lapel. 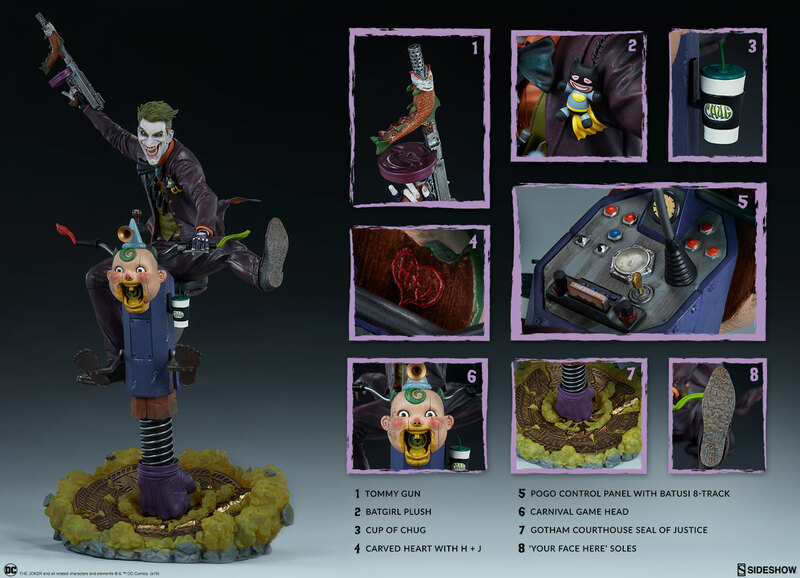 Always playing the heel to Batman’s heroic antics, The Joker has a custom pair of shoes with ‘Ha!’ treads and a “Your Face Here” on the soles. Give Batman the ol’ one-two punch when you pair The Joker with his best girl, the Harley Quinn Premium Format™ Figure. 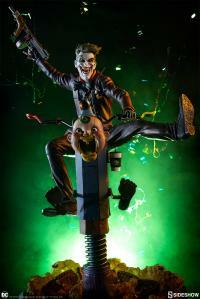 Gotham will never know what hit them! 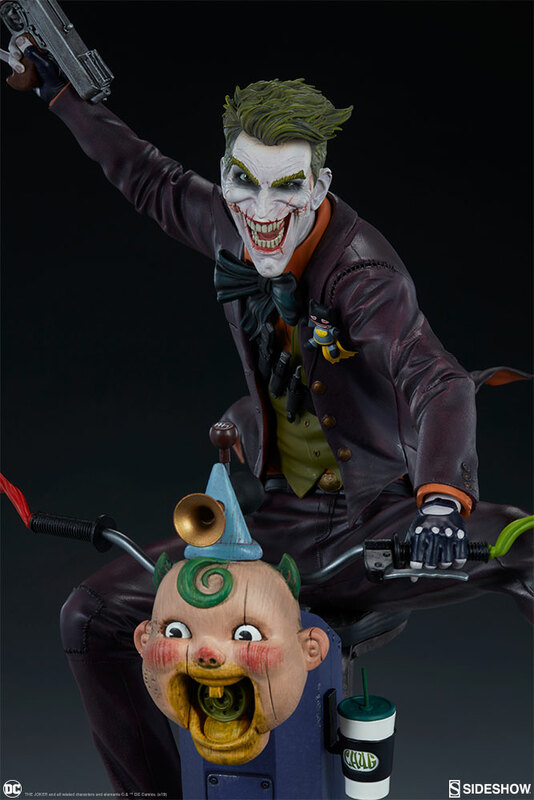 Joke’s on you! 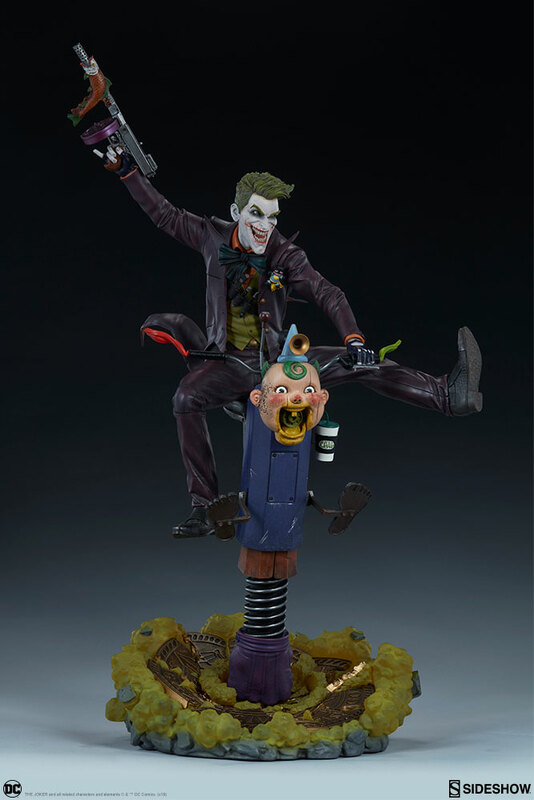 Start clowning around and add The Joker Premium Format™Figure to your DC collection today. 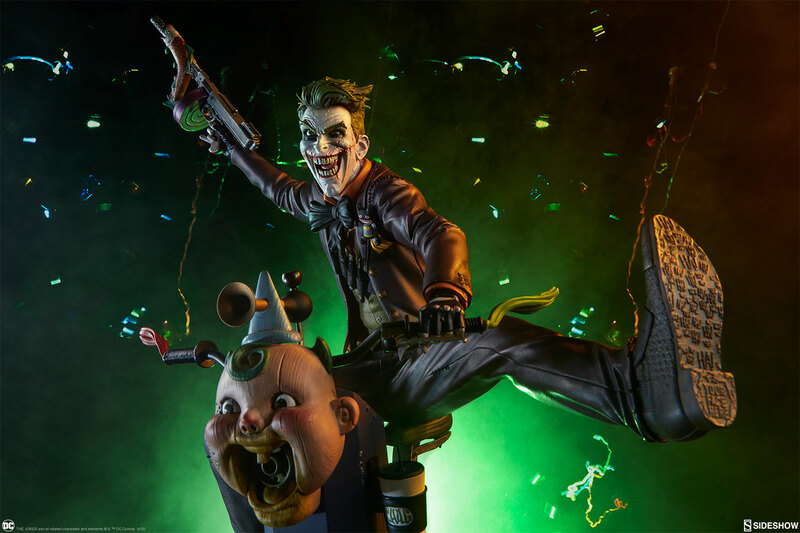 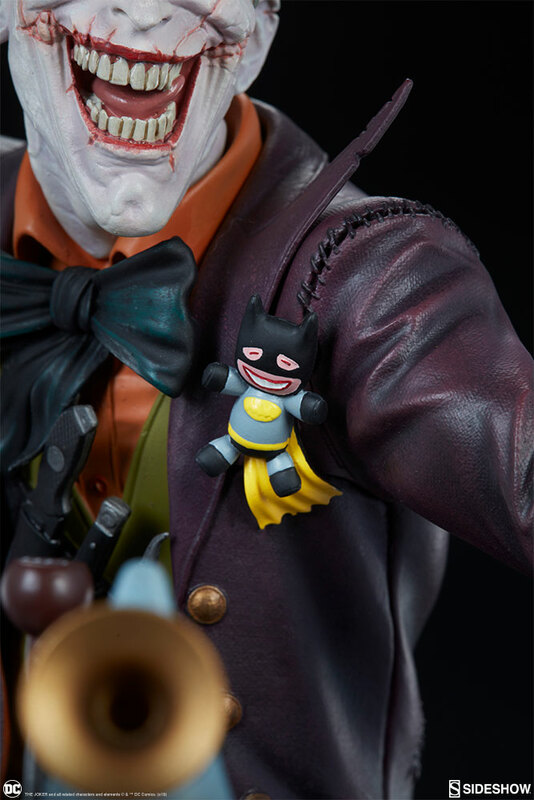 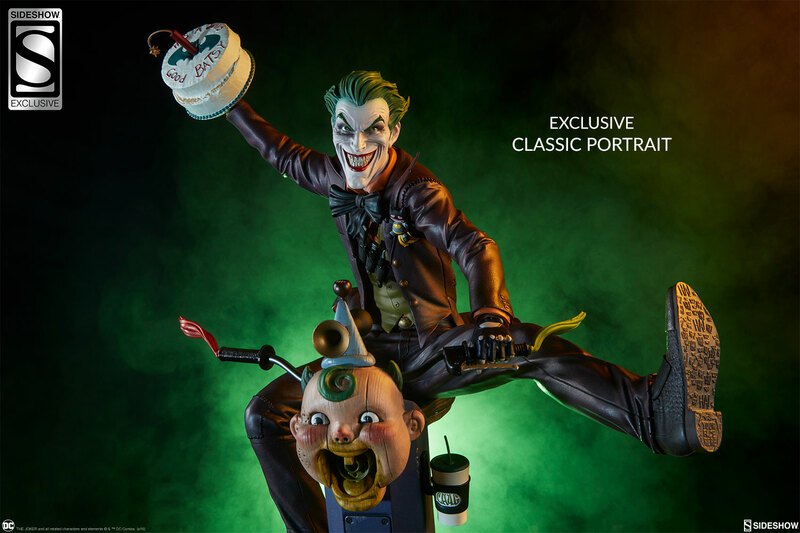 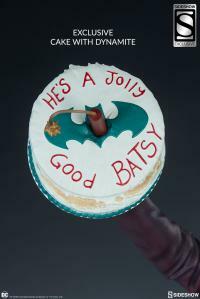 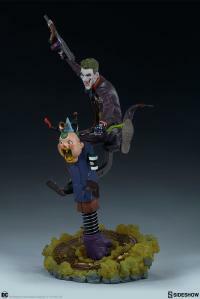 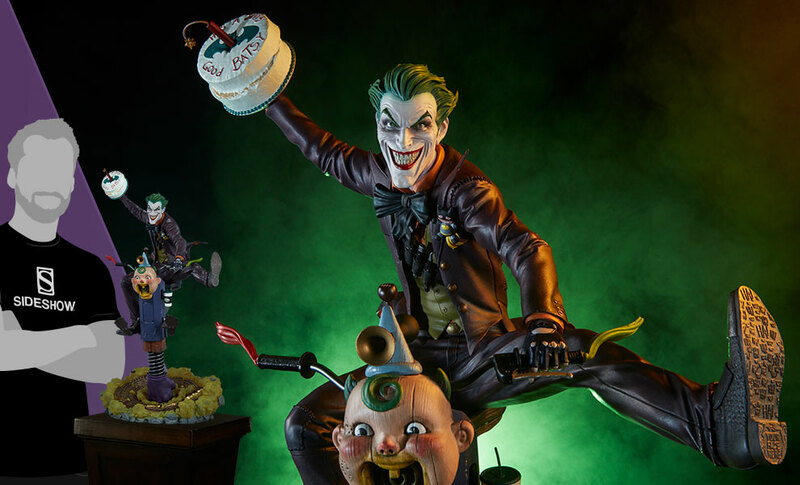 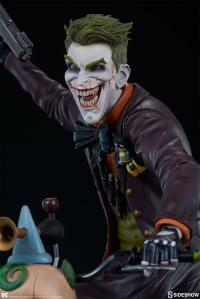 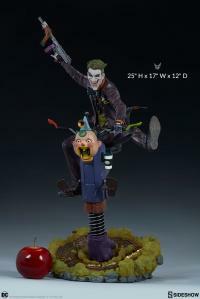 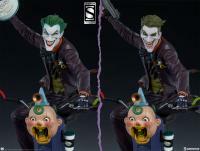 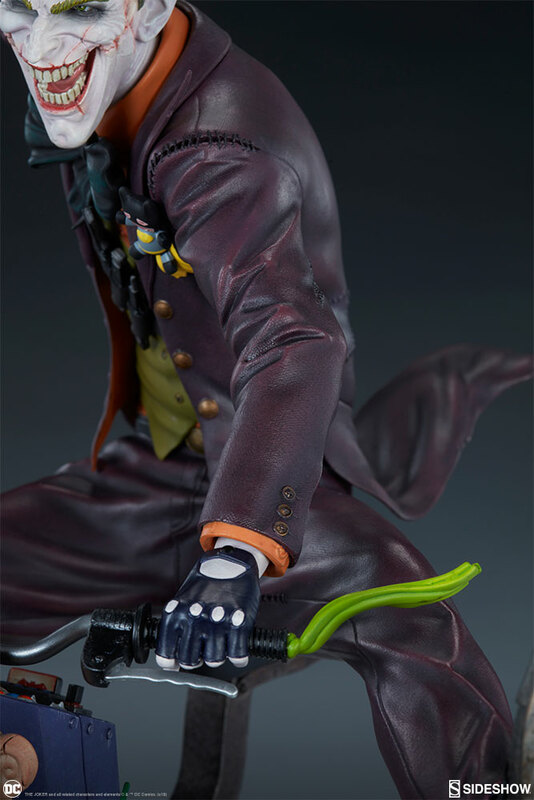 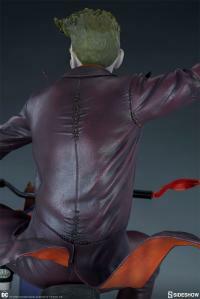 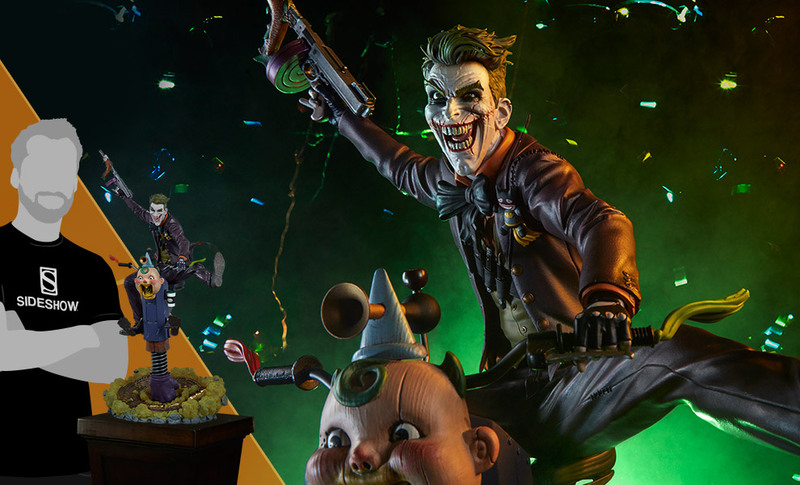 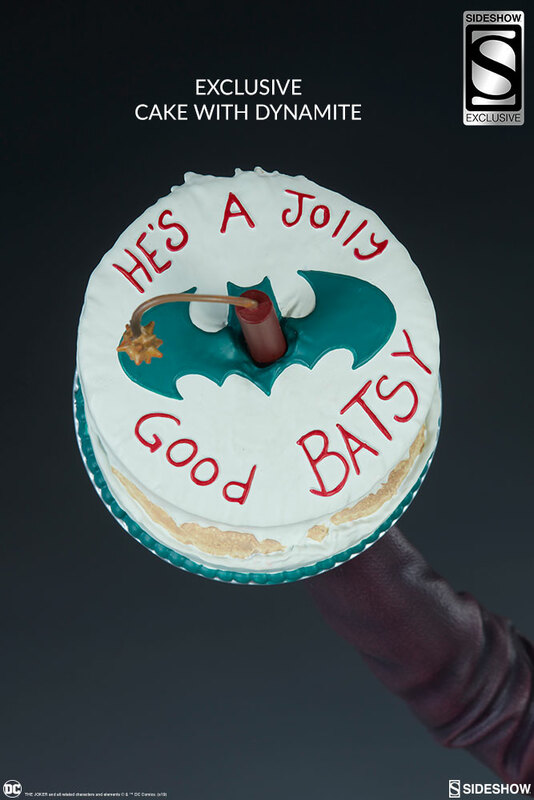 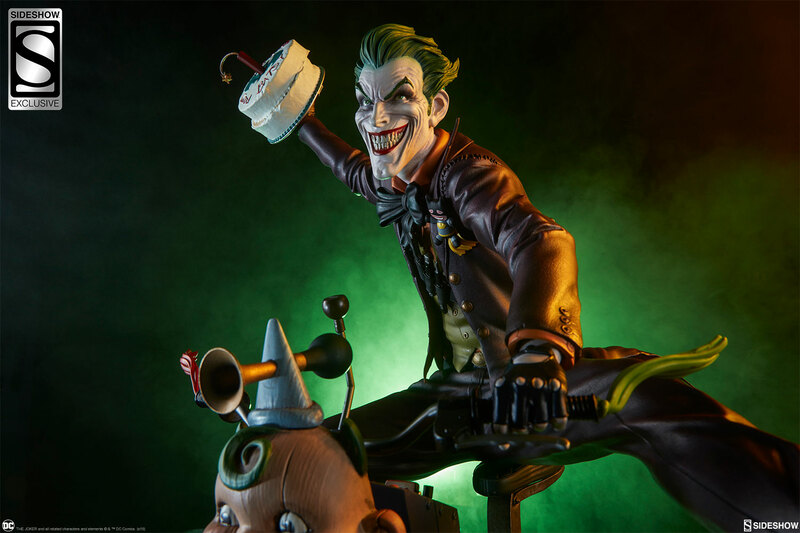 The Exclusive edition of The Joker Premium Format™ Figure includes an alternate classic portrait of the Clown Prince of Crime, as well as a swap-out right hand holding a special cake for Batman. 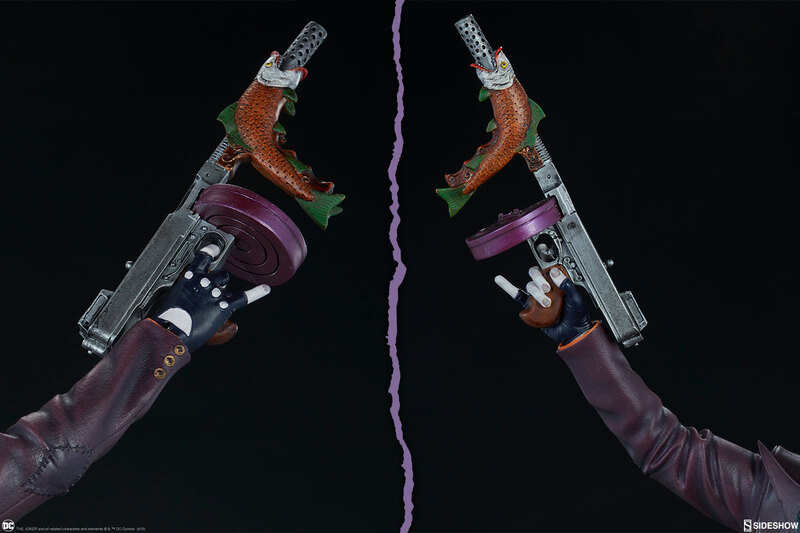 These accessories can be swapped out independently of one another, giving you additional display options. Pay as little as $187.50/mo. 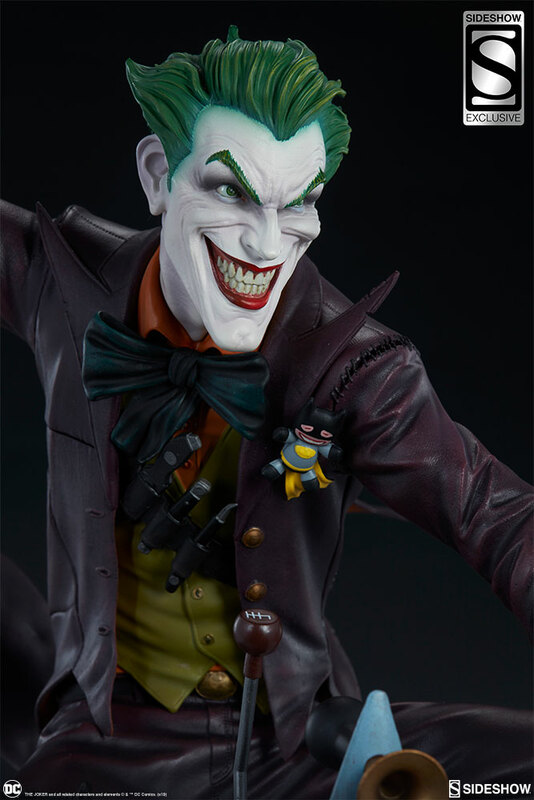 Pay as little as $192.00/mo.